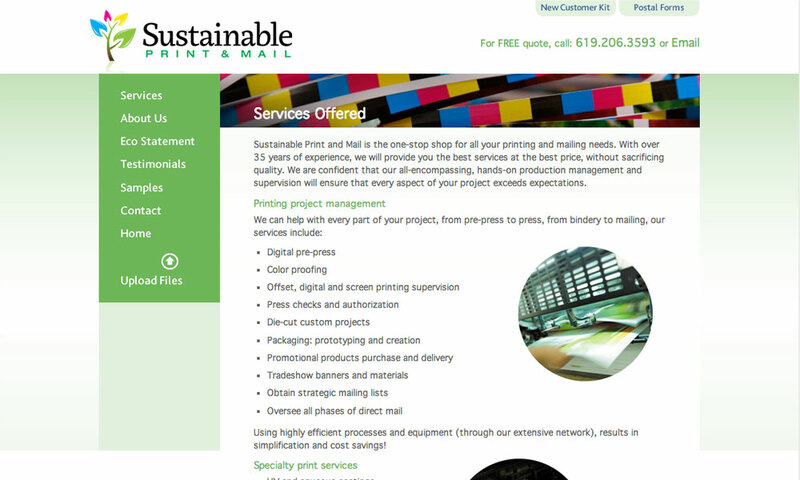 To promote one of the top print brokers in San Diego, BrainShine was charged with differentiating Sustainable in a crowded field. 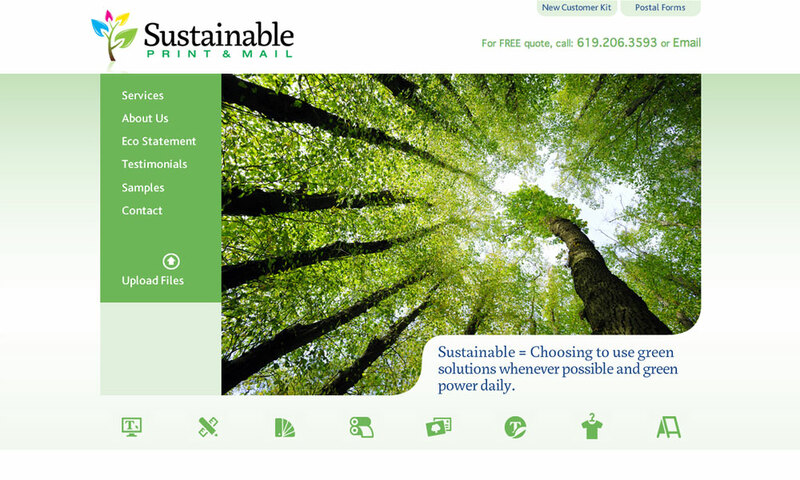 By featuring the client’s philosophy, methods, and capabilities, we were able to distinguish this veteran amongst his peers. 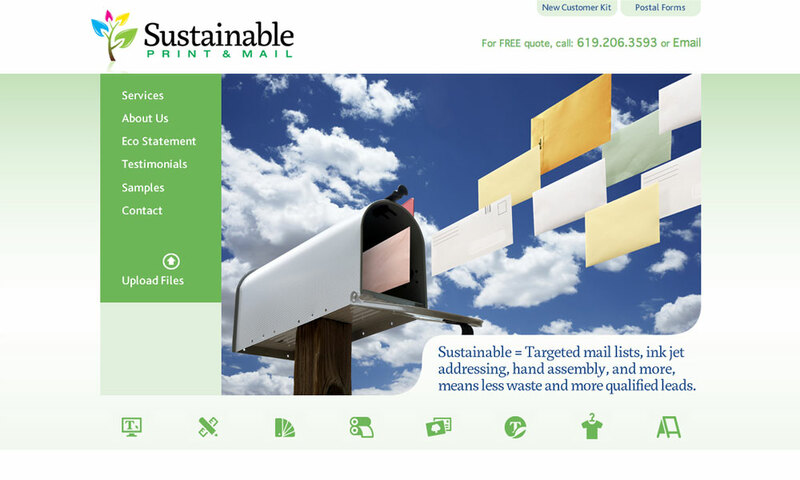 The site features links to useful information and a browser-based FTP upload to facilitate easy delivery of files for printing. 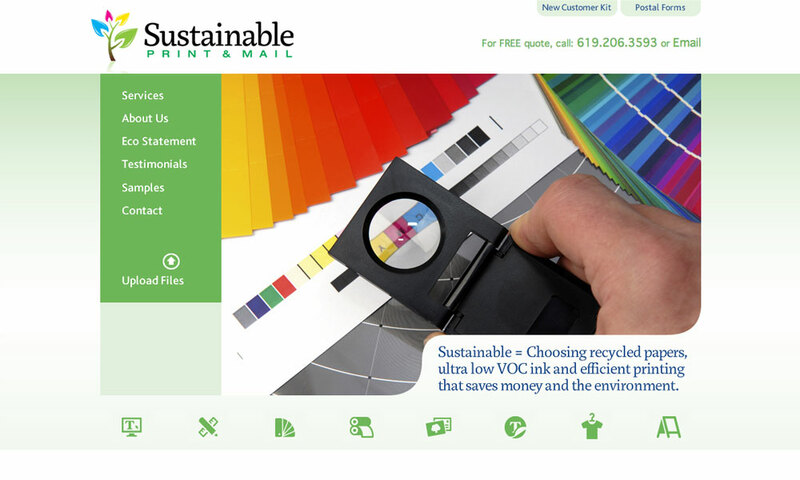 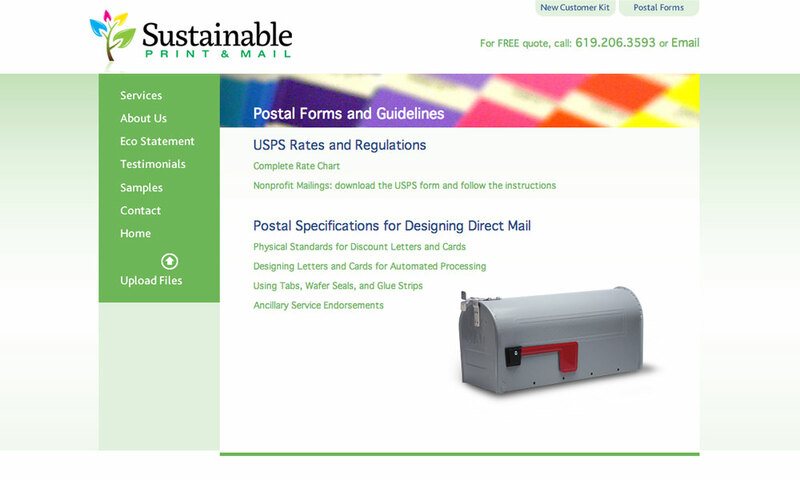 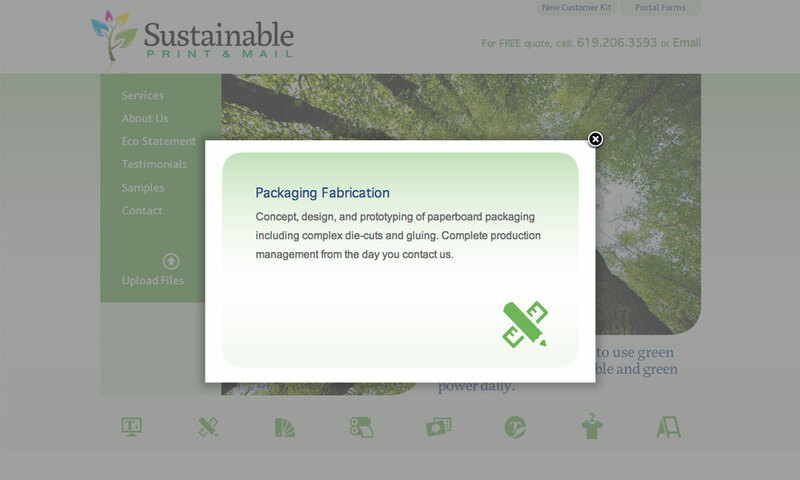 This clean and colorful site makes the case for Sustainable in a friendly and informative manner that reflects the client’s personality.